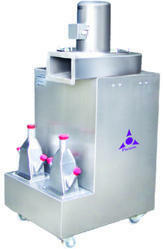 Pioneers in the industry, we offer dust extractor machine and dust extraction system from India. Filtration Area 9 sq. ft. Storage Capacity 25 ltr. to 40 ltrs. We Strongly recommend the use of Dust Extractor Machine Unit with all the Rotary Tabletting Machines in order to control the flying dust generated during the compression of tablets. 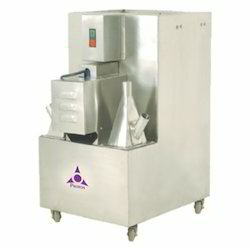 With the use of this unit, dust in Tabletting Machines is kept to a minimum but it is difficult to eliminate it entirely. Used for controlling dust generated during tablet compression, tablet de-dusting, granulation and other processes. Dynamically balanced blowers to minimize the noise level. Minimizes mechanical strain, excessive wear of tableting machine resulting in minimum machine breakdowns and punch wears. Castor wheels are fitted at the bottom of the machine for movability. Manufacturer and exporter a wide range of Dust Extraction System 150 CFM that is ideal for tablet press machine and helps in minimizing the wear and tear of the machine. Our range of dust Extraction units is manufactured using the excellent class of raw materials that are procured from our most trusted vendor in the market. The raw materials are all tested on various parameters for quality before procurement. These Dust Extraction Units are greatly admired and appreciated by our clients for its superior quality and durability.